The beginnings of the Regional Development Bank (RDB) can be traced back to as far as 1985 when district level banks under the category of Regional Rural Development Banks were established. 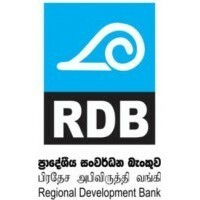 Later in 1997, seventeen such rural regional development banks were merged into six provincial level banks, which functioned as Rajarata, Ruhuna, Wayamba, Uva, Kandurata and Sabaragamuwa Development Banks. In May 2010, these six banks were merged into one national level bank and designated as the Pradheshiya Sanwardana Bank (Regional Development Bank/RDB). The Bank was established as a statutory body under the Pradheshiya Sanwardana Bank Act No.41 of 2008. The 100% Government owned bank was set up with the objective of improving the living standards of the rural masses by providing them accessible and affordable credit facilities that in turn would contribute to strengthen the rural economy. Originally based on the “barefoot banking concept,” the bank strives to provide innovative yet simple financial services to those at the middle and bottom of the income pyramid. deposits, and encouraging school children and minors to save. The results have been most encouraging and today the bank is proud to have established over 4 million loyal customer base and 268 service points and given employment to 3000 plus staff members.